The intake of Australian migration has fallen to its lowest since 2007. In the period of 2017-18 it gave 20,000 fewer permanent visas than the previous year. The reason is reduction in family and skilled visas, which are essential for a multicultural society in the country. 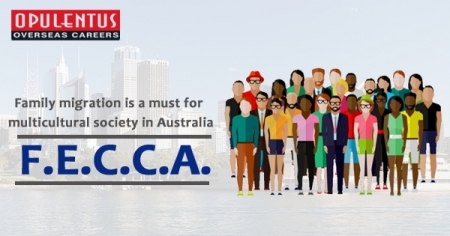 Federation of Ethnic Communities’ Council of Australia, which is a representative organization of linguistically and culturally diverse Australians states that it is important to maintain a strong level of family migration. Moreover, Australians of varied backgrounds should get family reunion visas. Mary Patetsos, Chairperson, F.E.C.C.A. states that Family migration is essential for the successful settlement of migrants in the country. Furthermore it contributes to the well-being and social cohesion of the entire community. Moreover, the family ties and connections assist in successful settlement. They also lead to better economic participation and integration. During the last financial year the cap was 190,000, but Australia gave only 163,000 Australia Permanent Visas. During 2016-17 there was an achievement of 183,000. Peter Dutton, Minister of Home Affairs, states that the reduced figure for visa approvals happened owing to a tough vetting processes. The recent figures for the FY 2017-18, ending on July 1st, show that the skilled stream had a decline of 12,468 places and was merely 111,099 in the present year. There was a large decline in percentage terms in the family stream, which was reduced by 15 percent and stood at 47,732 places. Furthermore F.E.C.C.A. states that the country has a proud immigration history which brings several benefits. Migration results in bringing skills, experience and knowledge to the country. Its contribution to the diversity of communities helps to build a productive and rich society. F.E.C.C.A. also recognizes that the Australia immigration system should have fairness, integrity, and transparency.